Mechanical seals are some of the most useful seals in pumping mechanisms. If chosen properly, they can function for decades without giving any issues. You can call your plumber to check your pump and they would most likely suggest Teflon below mechanical seal which will help seal off the water completely and keep your pump system free of leakages. 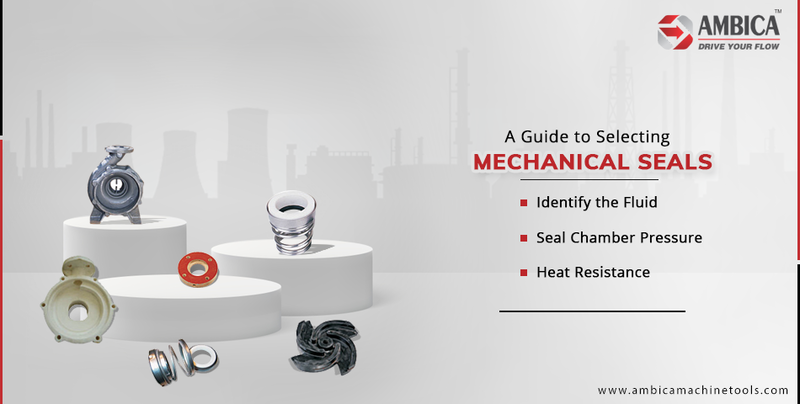 If you can’t contact your plumber or would rather choose a seal yourself, given below are some tips that experienced engineers use while choosing a mechanical seal. The fluid that will flow through the pump system makes a big difference on the type of seal you should choose. The density and chemical properties of the fluid are the main factors to consider. The seal you choose should not react with the given fluid and also should be strong enough to withstand the pressure of the fluid’s flow rate. The fluid isn’t the only thing that will build up pressure on the seal and neither will it last forever. The seal chamber will also exert a constant pressure on the seal and hence you need a seal capable of taking that constant pressure without bending or breaking. Depending on this, you can contact a centrifugal pump seal manufacturer to advice you on whether you should get a balanced seal or an unbalanced one. Seals are usually in direct contact with the fluid, which at times could reach incredibly hot temperatures. This can cause the seal to melt and you should hence get one with a high heat resistance. Now that you know how to select the right seals, you can confidently get mechanical seals for your home pump.